iTero digital 3D impressions are completely free of trays and putty, resulting in a more accurate impression from the start, a more precise treatment, and a more comfortable patient experience. No gagging, no goop, just smiles! Cone Beam Computed Tomography (CBCT) technology allows Dr. Hanan to plan all aspects of your care with precision and accuracy. Our Sirona CBCT Scanner takes less than a minute and uses a radiation dose 100 times less than a traditional CT scanner. Forget brackets and wires! With Invisalign, you can achieve a healthy, beautiful, straight smile using clear, removable aligners. It’s a discreet, aesthetic, and convenient way to get the smile you’ve always wanted! 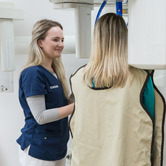 Siemens digital radiograph technology provides safe, instant, highly detailed images, using less radiation than traditional X-rays. Dr. Hanan uses these images to accurately diagnose patients’ occlusion and create efficient treatment plans. PROPEL Orthodontics is a safe, effective way to accelerate your orthodontic treatment. It can be used in conjunction with any treatment type, including TADs, clear aligners, clear braces, and conventional metal braces. Giving New York City a reason to smile! 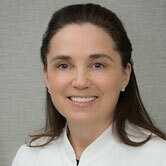 Located in the Upper East Side of New York City, orthodontist Dr. Diane L. Hanan’s top priority is to provide you with the highest quality of orthodontic care in a friendly, comfortable environment. We utilize the latest technological advances in the industry, including traditional metal braces, invisible ceramic braces, memory wires, and Invisalign® and Invisalign Teen® clear aligners, to ensure you receive the most effective and customized treatment possible. 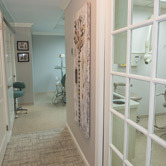 We pride ourselves on the individual care we give to each patient and our boutique-style environment. We recognize that every patient has different goals, and Dr. Hanan customizes treatment to suit each patient ensure the very best possible results. In addition, our team of friendly professionals is dedicated to making sure your orthodontic experience exceeds your expectations. Whether you’re an adult, teen, or child, we are committed to helping you achieve the smile you deserve: a healthy, beautiful one! 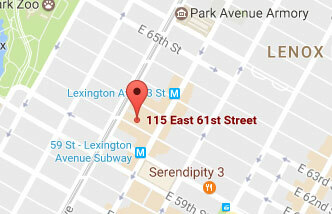 Contact our Upper East Side NYC orthodontic office to schedule an appointment. We look forward to meeting and working with you and your family. Call today! Here at Hanan Orthodontics, we take a comprehensive approach to orthodontic care that combines the aesthetics of straight teeth with ideal oral health and whole-body wellness. This begins with a strong foundation of a functional bite and ends with well-aligned teeth. We believe that the most beautiful smiles are also the most healthy!